I never miss a party at Jane's ...but looking around my house I have plenty of fresh greens, but only this one rose...I mixed it with my new beads I purchased at The Groves Antique Market in Irvine, CA a few weeks ago. I even added a string around my re-purposed fig jam jar. So Jane, I hope you don't mind that I came to your party almost empty handed...just the one rose, but we are not all professional like you. 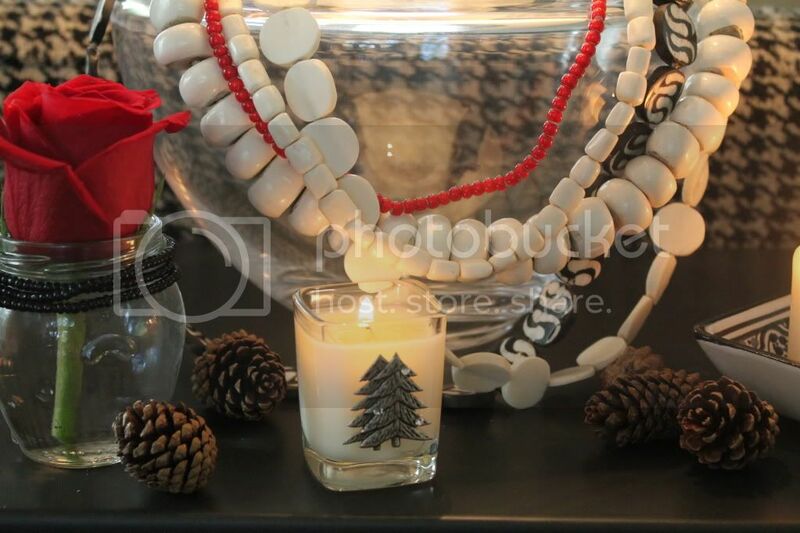 Check out Jane's blog for a little holiday inspiration and join the party. Um Annie, I think this whole set up is waaaay more charming then you're letting on. 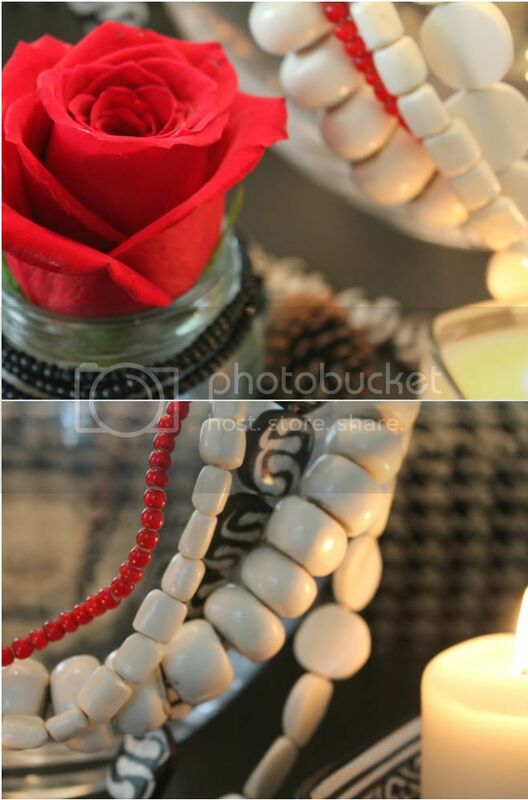 love the beads, love the one rose in the re-purposed fig jar. And of course I love fig jam. Oh you have a wonderful way if juxtaposing things in new and fresh ways. Beautiful! Going to check out Jane's blog now. Very nice! And I love pines as an ornament too! Really cute images an love the layout. Your single rose is perfect, especially paired with those lovely beads! How funny, ive been throwing beads around the place too... This is a really lovely combination, especially love how it's lit by candlelight. I am here from Paula's and she was so right. Your blog is quite beautiful. Your photos are great! I look forward to future posts. I hope you have a great weekend. Your single red rose and beads is very pretty! Also, I wanted to let you know that you have been given a Blog Award! See my post here!